Men don't usually have to think about birth control. Sure they might carry a condom, but there is no birth control pill for men. Yet. Let's pretend you are a straight couple, in a monogamous long-term relationship, and you don't want a kid. Consider your options: A woman can choose from 11 forms of contraception - including barrier methods like the diaphragm, permanent sterilization, and that holy grail of the sexual revolution, the pill, and its more recent and even more foolproof sisters in hormonal birth control, the ring and injectibles. A man can choose two: condoms or a vasectomy. 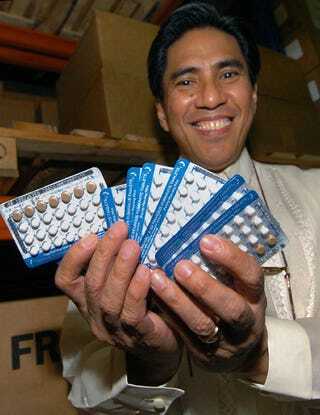 Men typically do not have to dedicate time and energy to contraceptive care, pay out of pocket for the usually expensive and sometimes frequent (often monthly, or at least four times a year) supply of contraceptives, acquire the knowledge about contraception and reproduction needed to effectively contracept, deal with the medicalization of one's reproductive health, endure the bodily invasion of contraception, suffer the health-related side effects and the mental stress of being responsible for contraception, and face the social repercussions of their contraceptive decisions (such as whether to use a particular contraceptive or to switch contraceptives), and the moral reproach for contraceptive failures. Women who contracept have to devote and sacrifice many aspects of themselves and what they value: their body, health (physical and mental), time, money, etc. These contraceptive burdens and sacrifices limit people's freedoms. Researchers offer up some reasons (or excuses) for why male contraception research falls so far behind. They fear that men will view contraception as a loss of masculinity, that men won't want to deal with side effects, and that "ejaculate coming forward is a significant part of a man's sexuality" and men might reject any method that might alter that in any way. The problem now is that the only options for men are temporary contraception (condoms) and more-or-less permanent contraception (vasectomy). Men don't have the equivalent of the birth control pill. Weirdly enough, the Science Progress article reports that America has much higher rates of women tying their tubes versus men getting vasectomies than the Netherlands and Britain, where the rates are pretty much the same. Some research is starting to go into developing birth control for men, but there's far more emphasis on finding new kinds of birth control for women than there is for men. As recently as the 1990s, about 60 percent of research dollars were going to high-tech contraception for women while only 7 percent went to research on contraception for men. There seems to be a disproportionate motivation for researchers to look to contraception for men. Now, because of the way birth control works practically, cultural customs place the emphasis and burden of contraception on women and not on men. Would that change if men had more options for birth control?